Maine awaits you. Whether you seek the rockbound coast, the magnificent mountains or the beautiful inland lakes and rivers, rest assured Maine has it all. Maine’s beauty is surpassed only by the hospitality of its people. I invite you to come visit us, whether the wilderness campgrounds to up-scale resorts and hotels, Maine has everything you could want for your vacation experience. Maine is divided into 8 touring areas. Each region boasting of its own attractions, resources and features. 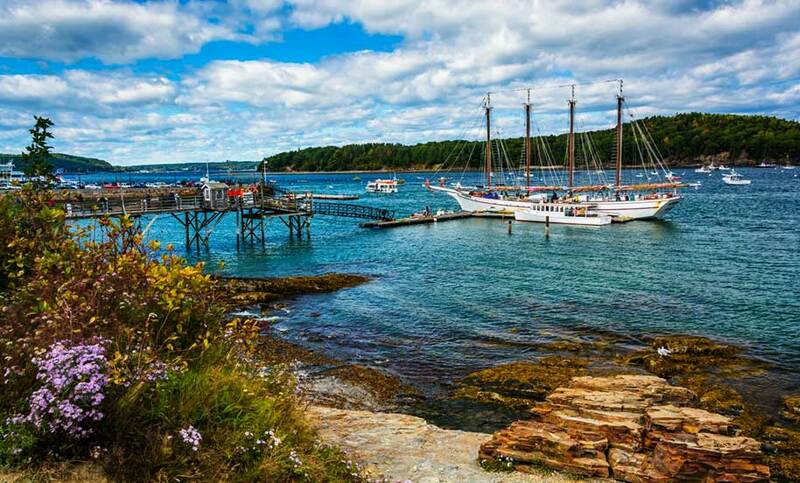 Maine is 320 miles long and 210 miles wide with a total area of 33,215 square miles of beauty! 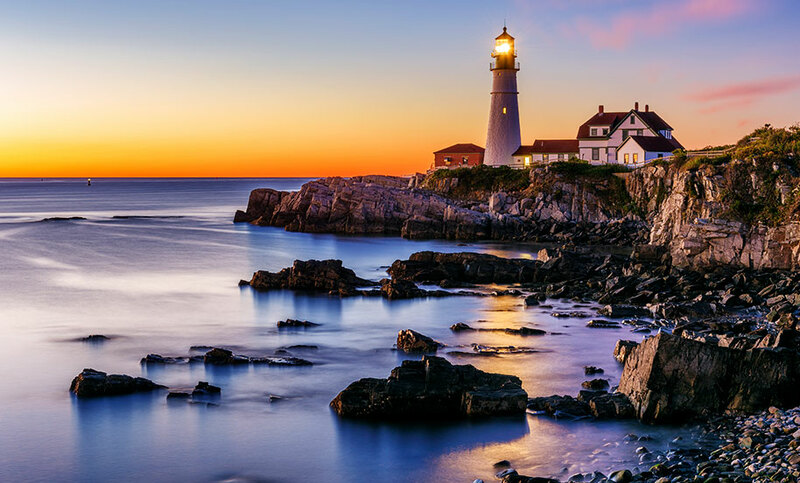 Maine encompasses 6,000 acres of lakes and ponds, 32,000 miles or rivers and streams, 17 million acres of forest land, 3,478 miles of coast line and 2,000 islands. The South Coast and Coastal regions take you all the way up to the Canadian border. This region exhibits not only the sandy beaches but the rocky shores as you travel North. Regions inland claim the lakes, streams, pine forests and mountains of the state. Maine provides you with over 200 campgrounds, one million parks and lands and recreational facilities. If you come and seek adventure, hike the knife edge of Mt.Katahdin or relax on our beaches, you will never be disappointed with your vacation in Maine. The first National Park East of the Mississippi and the only National Park in the North East, Acadia boasts the 4th most visited park in the Country! 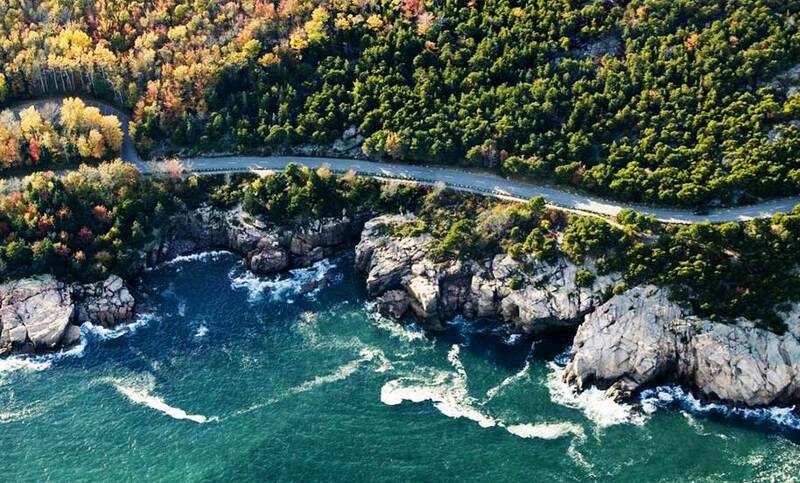 Sitting on the Eastern seaboards 3rd largest island, Acadia National Park covers a relatively small 32,000 acres. 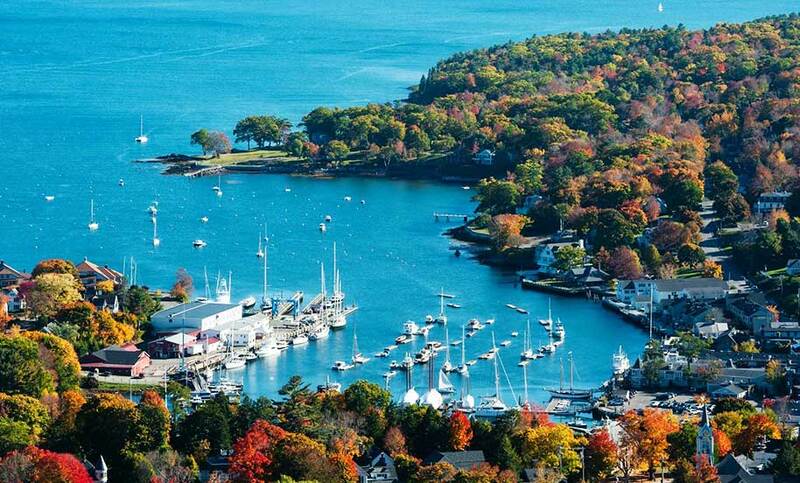 Bar Harbor, Mount Desert Island’s largest community, was New England’s premier summer resort in the 19th century. It was home to a maine hotel that was the largest in North America and also to Millionaires’ Row, a line of spectacular summer estates built for America’s most powerful families—Rockefeller, Ford, Vanderbilt, Carnegie, Astor and Morgan, to name a few. How do you describe your vacation on the coast of Maine? A retreat in the Camden and Rockport area is a travel destination you have to explore! You might as well describe it as heaven. A perfectly blue sky and morning sun that warms your soul, soft breezes that sneak down narrow streets and intriguing shops aligning cobblestone walking paths. It is here that you will craft your own summer vacation on the coast of Maine.